The Primavera String Quartet brings together four fine professional musicians combining an enormous wealth of performing experience with artistry, enthusiasm and fun. 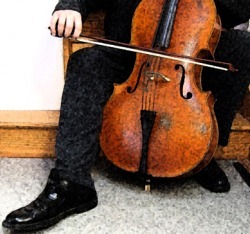 We are a flexible and adaptable group, capable of providing beautiful, sensitively chosen music for any part of your wedding, civil partnership ceremony or reception. The Quartet can then move with you and your guests to continue the entertainment during the drinks reception and meal. We are an adaptable group and happy to play indoors, outdoors, wherever you need us! Sumptuous, luxurious, high-quality, live background music provides an ideal focus for your guests while you are busy with your photographer, during the Drinks Reception and if necessary right through to your Wedding Breakfast. Our repertoire is wonderfully varied stretching from timeless classics like Mozart's String Quartet in C major to the Eurythmics' Sweet Dreams are Made of This, from Somewhere Over the Rainbow to Tango por una Cabeza. We will work with you to find a programme of music that suits your individual needs. We also perform a broad selection of jazz and songbook favourites like Pennies from Heaven, Makin’ Whoopee and Let’s Do It which work really well to create a relaxed atmosphere after a more formal ceremony. Our entire repertoire list is available to browse or download here. Our complimentary sampler CD is available by post (please email for your copy or fill in the enquiry form below).